To maintain healthy cholesterol levels, we are often advised to stay away from high-cholesterol foods like eggs, butter, and – of course – cheese. But new research suggests that treating yourself to some cheese is actually beneficial for your heart. Rejoice, cheese lovers, and read on to see how this once banned food is now benefitting your heart. The findings come from researchers at the University of Copenhagen who uncovered that a diet rich in cheese can actually increase your HDL cholesterol – the good kind. The researchers examined the health impact of full-fat foods in 139 study participants. One group was on a high-fat cheese diet, another received a reduced-fat version, and the third group had jam and bread instead. The groups were monitored for 12 weeks. The study found that those who enjoyed the full-fat diet, which included a chunk of cheese, saw increases in their HDL cholesterol levels. HDL cholesterol is beneficial because it reduces the levels of LDL cholesterol, a known risk factor for heart disease. But the benefits of cheese aren’t solely for the heart. Research has shown that cheese can benefit your dental health, too. A 2013 study found that a piece of cheese a day can ward off tooth decay by raising the pH level in the mouth and this way protecting against cavities. If that’s not enough, cheese is rich in calcium, which is known to help maintain strong bones and teeth. Other studies have found that consuming cheese prior to bed can aid in sleep and that cottage cheese can boost metabolism. As you can see, you don’t have to ban cheese from your life. Indulging in the good stuff daily can offer you a wide variety of health benefits. Of course, everything is good in moderation, eating a brick of cheese won’t make you healthier. 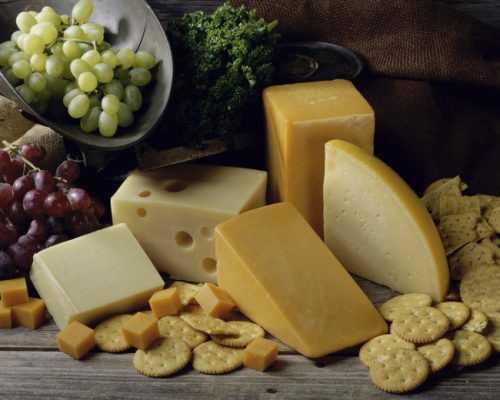 Adding a moderate amount of cheese to a balanced healthy diet, though, can provide you with the many benefits cheese has to offer without hurting your health.